Only the engaged player can declare attackers against the Witch-king. 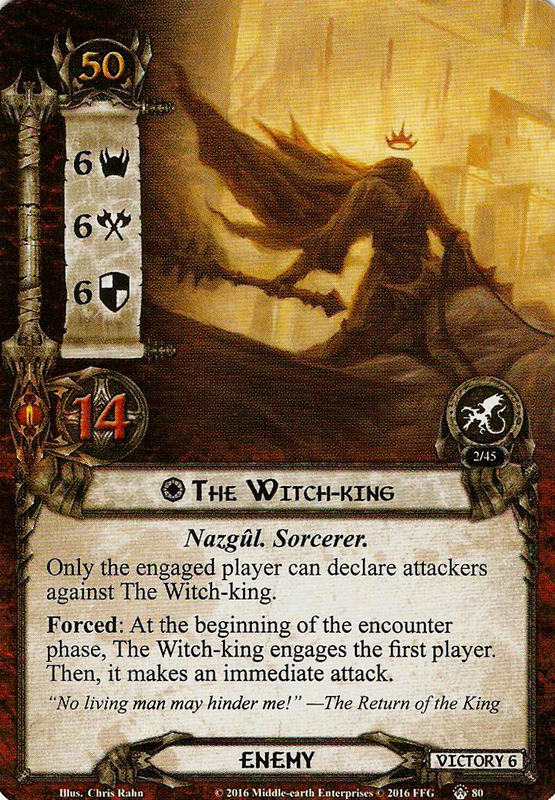 Forced: At the beginning of the encounter phase, The Witch-king engages the first player. Then, it makes an immediate attack.